New York Times Bestseller! In Stores NOW! Judy Melinek, M.D. is a graduate of Harvard University. She trained at UCLA in medicine and pathology, graduating in 1996. 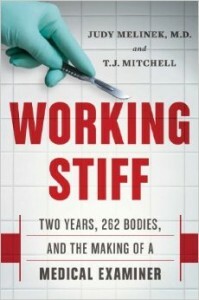 Her training at the Office of the Chief Medical Examiner in New York is the subject of her memoir, Working Stiff, which she co-wrote with her husband. Currently, Dr. Melinek is CEO of PathologyExpert Inc., & works as a forensic pathologist in Oakland. She also travels nationally and internationally to lecture on anatomic & forensic pathology and she has been consulted as a forensic expert in many high-profile legal cases. T.J. Mitchell graduated with an English degree from Harvard and worked in the film industry before becoming a full-time stay-at-home dad and screenplay consultant in 2000. He co-authored the New York Times bestseller Working Stiff with his wife, Dr. Judy Melinek, in 2014. 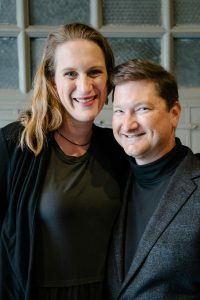 He and Judy are currently collaborating on First Cut, the debut novel in a medical examiner detective-fiction series, while raising their three children in San Francisco.